A Herculean New Gear Coupling is Born! Yes, the rumors are true. 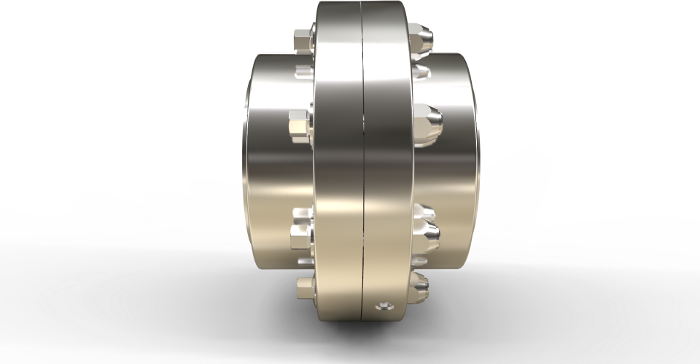 Technology has proven that further significant design improvements are indeed possible in this legacy well established product category with the release of a revolutionary new gear coupling line. Briefly taking a step back in time, most of today's legacy gear couplings have their roots in a time well before modern computing (and CNC machining). The engineers who designed these legacy products were no less brilliant than today's engineers. It was these engineers who laid the groundwork and framework for today's engineers (who are now blessed with and equipped to the gills with super-fast computers capable of running hundreds upon hundreds of finite element analysis models in a very short time period). In hindsight, the result of the early gear coupling engineers' efforts and their slide rules was absolutely magnificent. A handful of extremely effective work horse designs that could transmit a major amount of torque in a relatively small footprint were born, and, to a large degree, continue to be relevant today. In working with American Gear Manufacturing Association these early pioneers created standards (namely today's AGMA 9008-B00 - Flexible Couplings - Gear Type - Flange Dimensions Inch Series-Revision of AGMA 516.01) that, while not calling out the specific tooth configurations, provided external mounting dimensions that allowed these major players to remain half coupling compatible through size 9 for flanged sleeve couplings. Note: Continuous sleeve gear couplings hubs are generally not interchangeable between manufacturers, because gear tooth dimensions are not standardized by this AGMA document. Also, while European and other foreign (non-major North American brand) gear couplings generally follow AGMA standards, they do drift, so it is always important to verify a gear coupling meets AGMA 9008-B00 standard. Over the past few decades, various gear coupling players have claimed specific accolades (largest bore in certain size ranges, most torque in certain size ranges, most durable, etc. ), and a few creative marketing approaches to published ratings have been explored to claim such ratings (i.e. - increasing the service factor multipliers to compensate for higher coupling ratings, calculating max ratings under different misalignment conditions), but only one manufacturer (to our knowledge) has spent the past two years using the latest engineering design and modeling software in concert with physical testing to prove out a clean sheet optimized gear coupling. In launching, Lovejoy also revealed that it had already pre-signed up its first stocking distributor: Allied Bearing of Harahan, Louisiana. What got Allied Bearing immediately so excited about the HercuFlex design is that it offers industry leading max bores, industry leading torque, and improved seals while still adhering to the AGMA 9000-B00 standard for flanged couplings. 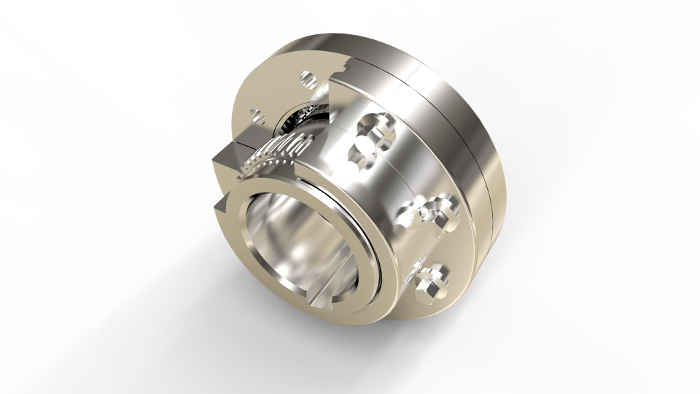 Furthermore, the HercuFlex flanged and continuous sleeve couplings were designed to accommodate a common hub and seal design which results in substantial inventory reductions for stocking distributors. In addition to providing a minimal inventory solution to interchange half for half with most major gear couplings installed in the field, the HercuFlex was also designed specifically with original equipment manufacturers in mind. Original equipment manufacturers (OEMs) want and need the optimal solution for their product, and aren't interested in paying for weight or material they don't need. By offering an industry leading max bore while still providing industry leading max torque carrying capability, the HercuFlex may allow a machine designer the opportunity to downsize a coupling from one they were previously using or had considered using. 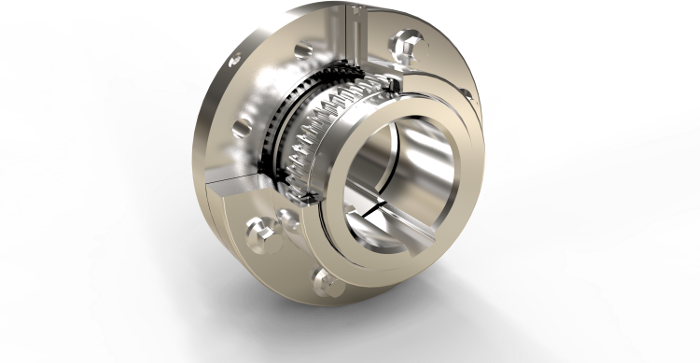 A smaller coupling not only saves on cost, but also saves on coupling weight. Given coupling weight is an overhung load, less weight means less burden on the shaft bearings and the two systems the shaft coupling is connecting. Traditional proven legacy gear coupling designs have survived the test of time, and they will continue to prove relevant to users who need their dense power design... but, for those looking for a best next generation solution that can interchange, that can rationalize inventory, and can save on weight... that solution is now ready and available. Test Stand Couplings - Go Disc or Go Home!